Israeli Bedouin have an ambiguous relationship with the state. “We’re not big Zionists, but we are proud Israelis.” This is how Ishmael Khaldi, who has a master’s degree in Political Science from Tel Aviv University and serves in Israel’s Foreign Service, describes his own people, the Bedouin. “The Bedouin are more tribal than nationalistic,” Khaldi adds. It’s that deeply ingrained tribal culture that has allowed the Bedouin to survive centuries of nomadic existence, but it’s also the trait that presents barriers to their continued wellbeing in modern Israel. With a birth rate amongst the highest in the world, the Israeli Bedouin population has grown tenfold since the establishment of the State of Israel in 1948. Today the Bedouin are almost three percent of the population of Israel, but in the stark Negev desert Bedouin make up one out of every four residents. Most of the Bedouin in the Negev hail from the Hejaz, a region in the north of the Arabian peninsula from where they migrated between the 14th and 18th centuries, making them relatively recent arrivals in this ancient land. 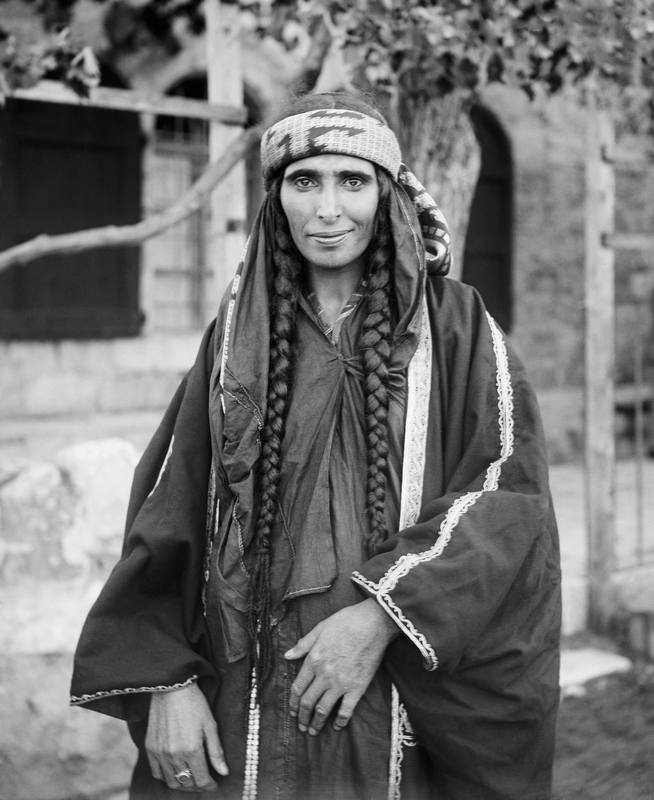 Historically, the Bedouin have been nomadic or semi-nomadic tribes, traveling to grazing pastures while allowing other areas to naturally replenish. The Bedouin organize themselves around clans of extended family members; it’s not unusual for a Bedouin man to father several dozen children with different wives. In the 19th and early 20th centuries, neither Turkish nor British occupiers of the Middle East could conceive of any kind of modern life in the desert, so the Bedouin were largely left to their own devices. All that changed with Israel’s War of Independence in 1948, when Egyptian and Saudi Arabian forces invaded Israel, turning the Negev into a fearsome battleground. Some 90,000 Bedouin fled to Egypt or Jordan, and by the end of 1948, only 11,000 remained in the deserts of southern Israel. The newly independent Jewish state saw the Negev as a potential area for growth and development, and gave little thought to the Bedouin living there. In this respect, the Israeli government was continuing a policy that began in the colonial period, when the Ottoman Empire and the British Mandatory authorities did not accept Bedouin claims of land ownership, which were based on the fact that Bedouin clans had lived on the land for generations. Since the Negev constitutes 60 percent of Israel’s total land mass, it’s not surprising that every Israeli government since 1948 has tried to preserve Negev land for future development, and ignored Bedouin claims to the area. Despite the core land conflict, Bedouin expert Dr. Clinton Bailey of the Harry S. Truman Institute at Hebrew University notes that Israel was the first body to take any interest at all in the Bedouin people, granting them citizenship, and providing them education, medical care, and access to the social benefits enjoyed by every Israeli citizen since the implementation of the National Insurance Law of 1953. Nevertheless, Bailey asserts, Israel’s government policy has “never been geared to Bedouin needs or desires”. That’s most evident in Israel’s long-standing strategy of attempting to urbanize the Bedouin population. In the late 1960s and early 1970s the Israeli government began to push the Bedouin to settle in seven towns in the northern Negev. Israel’s goal was to make it easier to provide basic services and modernize the population, as well as to try to prevent the Bedouin from spreading out over the Negev, and blocking development of new Jewish communities. Today, around half the Bedouin people of the Negev live in these towns, which were built without careful planning or input from Bedouin leaders. The remaining 50 percent prefer to continue to live a traditional lifestyle in dismal conditions in 45 unrecognized villages, which are not hooked up to the national electric, sewage, or water systems. Today, many Israeli politicians and intelligence officials regard the Bedouin with alarm, as their towns have become breeding grounds for crime as well as rising Islamic fundamentalism. Traditionally Islam was never a prevalent factor in Bedouin life since Islam stresses that one’s number one allegiance should be to Allah, whereas Bedouin primary allegiance has always been to the tribe. It’s only in recent years that this has begun to change, as radical Islamists have seen in the rapidly growing Bedouin population an opportunity to expand their reach within Israel’s borders. Many Israeli demographers warn that the “Bedouin problem” in the Negev threatens the stability of Israel’s southern region. Prof. Arnon Soffer, Chair of Geostrategic and Security Studies at Haifa University predicts, “Within five years, the next intifada will break out in the Negev.” He lays out a dire scenario, pointing to security problems, crime, drug dealing, and extortion of Negev business owners and farmers by Bedouin gangs. Bedouin ties with their brethren in Jordan, Syria, and Egypt raise other security concerns for Israel, as Bedouin identity takes on a new and more radical twist. “There is no difference between the Bedouin and the Palestinians,” declared Hassan el-Rafia, a Bedouin leader of the Regional Council of Unrecognized Villages of the Negev to reporters in 2007, expressing sentiments not necessarily shared by Bedouin from the Galilee like Ishmael Khaldi. One of the most sensitive issues for the Bedouin minority is army service. Israeli Arabs are exempt from the mandatory army service of Jewish Israelis, but since the beginning of the state, a significant number of Bedouin have traditionally volunteered to serve in Israel’s defense forces. But Israel’s Shin Bet secret service says that since the second intifada began Islamic movement operatives have been actively discouraging Bedouin men from volunteering for the army. Fayez Abu Sheiban, the mayor of the all-Bedouin city Rahat, estimates that today “a very low percentage” (around 50 young men) from his city of 50,000 people choose to join the army, despite the significant training and opportunities for entry into Israeli society for those who serve. As citizens, however, Bedouin are eligible for benefits from Israel’s quasi-welfare state. In Rahat, 79 percent of residents receive Israeli welfare payments, mostly unemployment benefits. Israel encourages large families and awards an allowance for every child born to an Israeli citizen. These grants are very common in Rahat, where 65 percent of the population is under 18. Meanwhile, hundreds of Israeli citizens are active in the plethora of non-governmental groups that work to ensure that the challenges of the Bedouin do not go unnoticed. They’re Arabs and Jews, dedicated to creating a better future for their fellow Israeli citizens.